Fernando's Mexican Cuisine located at the new upscale City Line development in Richardson is my new go-to when I'm craving tex-mex cuisine. The dining experience at Fernando's knocked my socks off. Get the scoop on their fantastic menu below. You can't eat Mexican cuisine without washing it down with a Margarita. My drink was excellent. Fernando's has great happy hour specials Monday-Friday from 11:00am-6:30pm. You can sip on this tasty margarita for only $4.50 during happy hour. We started off our meal with the Botanas De La Casa Cuernavaca. If you're the type of person that doesn't like to settle for just one appetizer then order this. 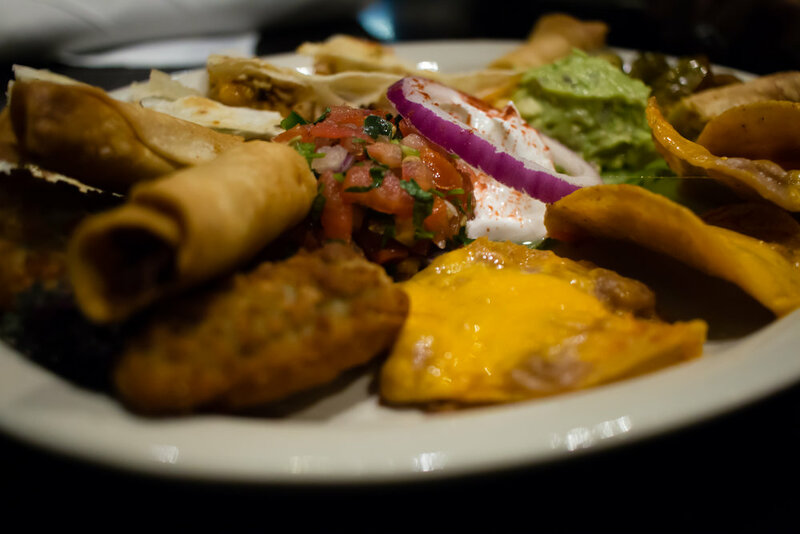 It comes with fajita quesadillas, stuffed jalapenos, chicken flautitas, nachos, and is served with fresh guacamole, sour cream, and pico de gallo. This appetizer is phenomenal. Before, we even ordered our entrees my husband and I agreed that would return to the restaurant simply to order drinks and this appetizer. The flautitas were my personal favorite, and I was ready to fight over the last one. I'm not a big fan of refried beans but I loved the flavor of them on top of the nachos. I love a good Mexican Shrimp Cocktail and this one did not disappoint. The shrimp are huge! I also like how Fernando's gives you a bottle of Tabasco sauce, if you'd like to add a hint of spice. The tortilla chips at Fernando's are fantastic. Perfectly crispy and they have a light hint of seasoning. Most Mexican restaurants that I've been to typically serve there chips with only one salsa. Fernando's gives you four. The tomatillo salsa was excellent. I spent a lot of time contemplating what I should order for dinner. The restaurant's menu is expansive. Thankfully, my server Alberto had my back and made a few recommendations. The Pollo Con Tomatillo y Casabel sounded like the perfect dish to try. This dish reminded me of a Mexican style chicken parmigiana. It's tortilla crusted boneless chicken breast sauteed and served with a sauce of chiles cascabel, seranno, and tomatillo. After the first bite, I understood why Alberto recommended it. My husband loves street tacos so we ordered up the Mexican street tacos. 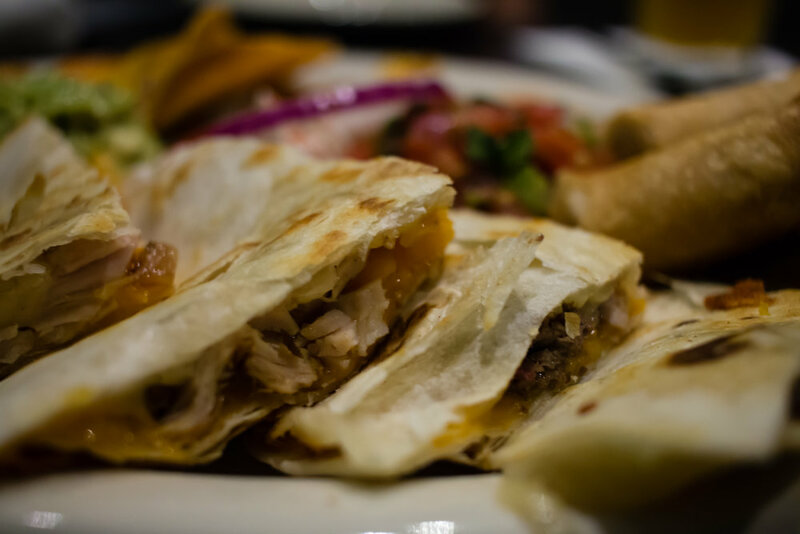 These come with your choice of marinated grilled chicken or beef, and grilled corn or flour tortillas. They're garnished with chopped white onion, fresh cilantro, and wedges of lime. If you're in the mood for street tacos, then don't hesitate to order these. 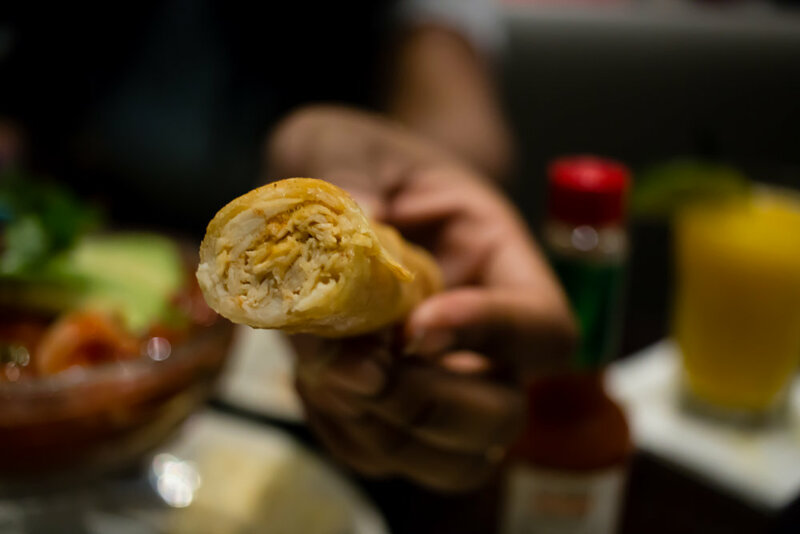 The Camarones Coyoacan are one of Fernando's Mexico City Specialties that I had to try. These fresh jumbo shrimp are filled with crab meat, herbs, breadcrumbs, and are baked with a white wine sauce and served with rice and grilled vegetables. This is the type of dish you order after you've had a rough day at work and need some comfort. These shrimp are nothing short of phenomenal. The foodie struggle was real by the time dessert rolled around. Before, we ordered dessert I was already convinced that Fernando's is the MVP of Mexican Cuisine. My dessert signed and stamped the deal. I ate the best Apple Pie in history at Fernando's. No lie. This is not your average apple pie. This is not your mama's apple pie. I have no idea what Fernando's puts in this apple pie but it is absolutely amazing. I wish I could personally thank Fernando myself for sharing this dish with the world. After eating the apple pie at Fernando's, I don't think I will order apple pie from any other restaurant. Please order it during your next visit. It's served sizzling and piping hot. The Tres Leches Cake at Fernando's is also pretty awesome. If I had to pick from one dessert I'd still go for the apple pie. However, the Tres Leches cake is still a great pick. I'm already planning my next visit and am still swooning over how wonderful my meal was. This was definitely one of my best dining experiences of 2016. Have you visited Fernando's? ***Disclosure*** I received a complimentary meal in exchange for my review. No need to worry, I've got your back! This meal was absolutely amazing and you know I would never lead you in the wrong direction.